How successful do you think a $1,500 smartwatch would be? The complex answer is that it depends on where you are. If you’re selling in a market where customers are all looking for something $200 or less, you’re bound to have a lemon on your hands. Well, Swiss watchmaker TAG Heuer has produced its Android smartwatch, the TAG Heuer Connected Carrera, for a market that is accustomed to high-end, luxury smartwatches and brand names. The result? TAG Heuer has “struck gold,” so to speak. 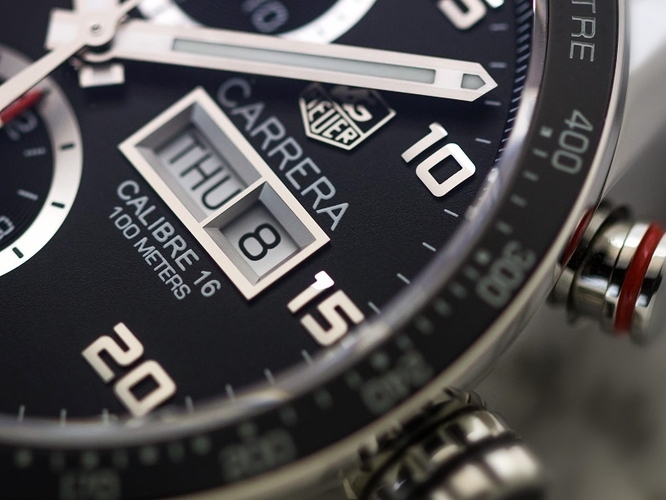 Bloomberg News tells us that the TAG Heuer Connected Carrera, the company’s most recent smartwatch, has sold 100,000 within physical stores to such an extent that TAG intends to increase production from 1,200 a week to 2,000 a week (an increase of 66-67%) to accommodate the high demand for the Connected Carrera. Unfortunately, the success TAG is having in physical stores has moved the watchmaker to cease online sales until the summer of 2016. The Connected Carrera smartwatch features a 1.5-inch, circular sapphire crystal display with a 360 x 360 screen resolution, a 1.6Ghz, dual-core Intel processor, 1GB of RAM, 4GB of storage, and a 410mAh battery. TAG Heuer has an answer for those who wonder what to do when their smartwatch is deemed “obsolete” within 2 years: the company will hand over a luxury TAG Heuer (no smartwatch) to customers for an additional $1,500. Since most TAG timepieces cost around $5,000, $3000 total for a smartwatch and a non-smart timepiece is a steal. If you’re still sitting on the fence about this luxury timepiece, check out our hands-on review for more details.